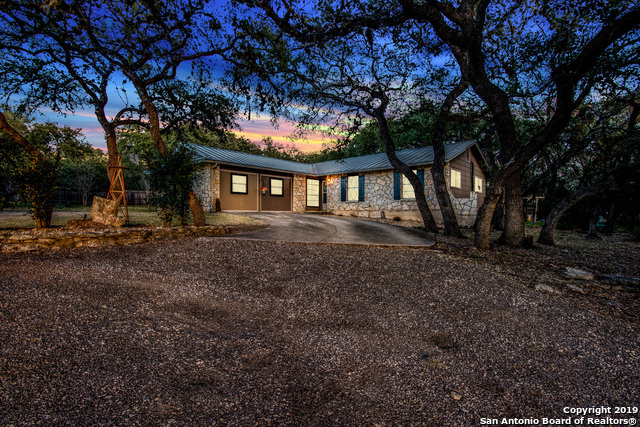 All GREY FOREST homes currently listed for sale in Helotes as of 04/20/2019 are shown below. You can change the search criteria at any time by pressing the 'Change Search' button below. "SERENE BEAUTY NESTLED IN TRANQUIL GREY FOREST! THIS HOME IS AN ABSOLUTE STEAL! TWO MASTER BEDROOMS ( 4 BED TOTAL/3 BATH) - NEUTRAL PAINT TONES,NEW A/C, TWO KITCHEN AREAS, TWO LIVING AREAS,SPACIOUS ROOMS, OFFICE BUILDING, 1+ ACRE LOT, COVERED PATIO AREA, FENCED POOL,METAL ROOF ( LIFETIME WARRANTY) MATURE TREES, SHED, TWO ENTRANCES-PLUS MUCH MORE-THIS HOME HAS IT ALL!!!! GREAT FOR MOTHER IN LAW SUITE, HOME HEALTH OR AIR BNB- MULTIPLE USES-CALL TODAY FOR SHOWING!!!" "Come check out this charming 1940s 2 bed 2 bath cottage in desirable Grey Forest. This house is just waiting for you to put your personal style on it! Easy access to 1604 and I-10 with lots of shopping nearby, but not too close. Far enough away from the city to feel secluded, but close enough to enjoy the amenities of city life."